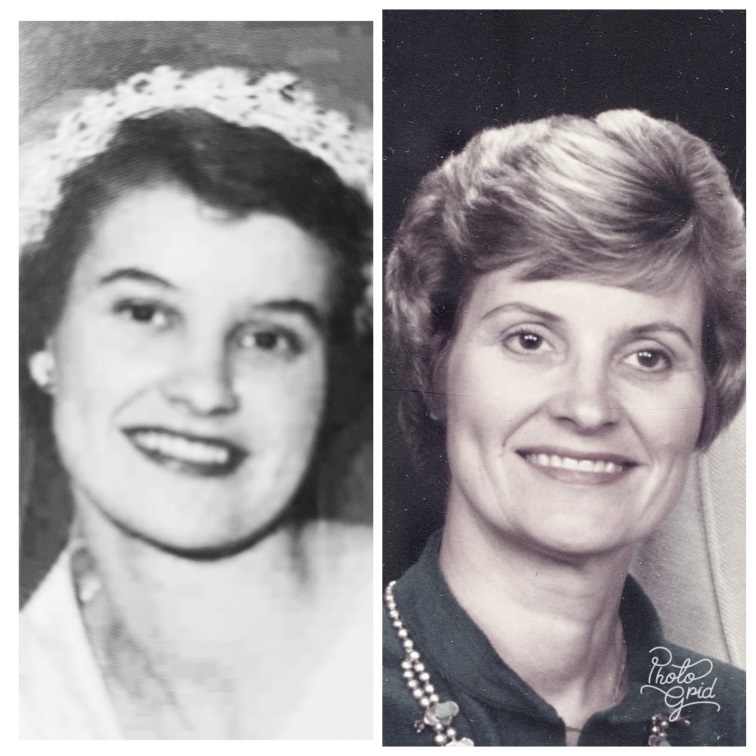 Gail Hilton Wood, 85, passed away peacefully on March 28th, 2019 in Mesa, Arizona. She was born in Phoenix, Arizona on July 26th, 1933 to Lyle Hilton and Isabelle Cardon Hilton Hunt. She attended Mesa High, Brigham Young University and received a Master’s Degree in Psychology from Cal State Hayward. Gail grew up in Mesa, later met Vincent Alma Wood from Berkeley, California and they married in the Mesa Arizona LDS Temple in 1954. They moved to Concord, CA where Vince started his Dental practice and soon after moved to Walnut Creek, CA where they raised their 7 children. They co-founded the Diablo Light Opera Company where they had several leading roles. Gail often played guitar and sang in community and church choirs. She served faithfully in many leadership capacities in the Church of Jesus Christ of Latter-day Saints including a Family History Mission in Salt Lake City, Utah. Gail worked with Battered Women and as a Grief Counselor and was known for her kindness and wisdom. She enjoyed traveling around the world with her husband and many friends. She was a fabulous seamstress, scholar, cook, party planner, vocalist and religion teacher. However, she felt her greatest accomplishment was her family. She is survived by her 7 children, Kent Wood (Rhonda), of Orem, UT; Keith Wood, of Folsom, CA; Michele Baer (Sterling) of Mesa, AZ; Tammy Runia (Scott) of Provo, UT; Shauna Hansen (Van) of Mesa, AZ; Noel Frame of Mesa, AZ; Stacy Woods (Matt) of Mission Viejo, CA; and siblings Kent Hilton (Rochelle) of Alpine, UT and Steve Hilton (Heidi) of Heber, UT. She was blessed with 41 grandchildren and 48 great-grandchildren. Gail was preceded in death by her husband, Vincent, a grandson, Ryan Scott Runia, a daughter-in-law, Kathleen Stone Wood, her parents, Lyle and Electa Hilton, Alma and Isabelle Hunt and two of her siblings, Donna Hilton Gardner and Dale Clair Hilton. Funeral Services are Saturday, April 13th, 2019 at 10 AM, preceded by a visitation at 9 AM at the Mt. View LDS Stake Center, 1550 N. Val Vista Dr. Mesa, AZ 85213. There will also be a viewing Friday, April 12th from 6:30-8:00 PM at the same location. In lieu of flowers, donations can be made to the LDS Humanitarian Aid Fund, give.lds.org/humanitarian or BYU Education Fund, give.byu.edu/memorial. We loved Gail and Vince. We enjoyed touring with them, and camping together. I consider Vince my finest lifelong friend from Junior High School until he died. We worked close together on the BYU archeology dig in Egypt. We remember the forgettable time when Gail sang on a Roman ancient stadium stage, and her beautiful voice filled the amphitheater. Gail was such a sweet and caring friend to me in High School and in her adult life. She always made me feel better just knowing her and had a happy smile to share. She is a beautiful woman and expressed it with such great dignity. I send my sympathy and condolences to her family at this special time.